Zoom Zoom Zoom!! 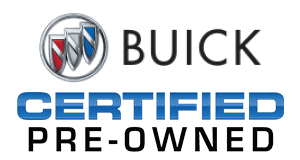 Includes a CARFAX buyback guarantee... Buick CERTIFIED. Set down the mouse because this generous 2017 Buick LaCrosse Essence is the Sedan you’ve been searching for. This LaCrosse has less than 6k miles.. SAVE AT THE PUMP!!! 31 MPG Hwy* Optional equipment includes: Dynamic Driver Package, Sights & Sounds Package, Driver Confidence Package # 1, Front License Plate Bracket...Buick Certified Pre-Owned means that you not only get the reassurance of a 12mo/12,000 mile Bumper-to-Bumper limited warranty and a 2 year/24,000 mile Standard CPO Maintenance Plan, but also up to a 6-Year/100,000-Mile Powertrain Limited Warranty, a 172-point inspection and reconditioning process, 24hr roadside assistance, and a complete vehicle history report.